If you went to Brussels these days, besides French and Dutch which are the official languages spoken in Belgium you would also hear a lot of English since Brussels is a very international city and is much visited by tourists. Another language, however, that you would hear quite frequently these days is Polish. That would be for one simple reason. Poland is currently holding the rotating EU Presidency which it took on July 1st 2011. Every six months a different EU member state holds the rotating presidency with a different agenda. Every Presidency also has a website. The Polish Presidency’s website can be seen here. Some expert analysis reacted to this event rather positively, such as a post at the GMF Blog, while others, such as The Economist’s Charlemagne made the point that Poland should be rather cautious. It’s true that the rotating EU Presidency by one country is not as prestigious or important as it was before the adoption of the Lisbon Treaty, but it is still a great opportunity for Poland to prove itself. However, Poland will have a tough time leading the way in resolving the biggest current crisis in the EU which is the Eurozone debt crisis, since it is not a member of the Eurozone and still holds its own currency the Polish Zloty (PLN). In my opinion Poland IS the new EU power and it has a lot of potential to improve the EU and its problems. For starters Poland is the most populous of the post-communis members of the EU with a population of 40 million and is the 6th biggest country in the EU by area. 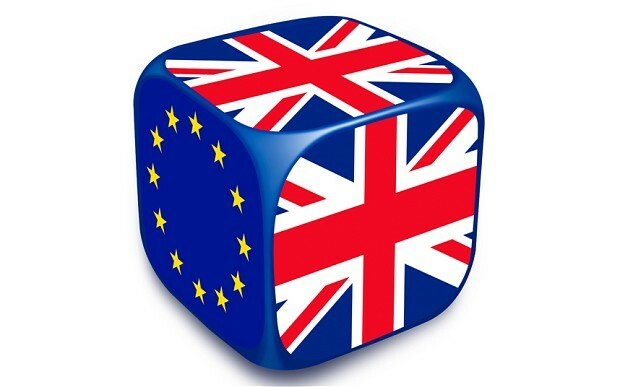 It has the potential to become the newest big EU Power with a similar stature as France, Germany, UK or Italy. Poland is no longer a battlefield or an issue over which other powers play or fight, but is a new player and a power itself. It could become a sort of a “leader” of Central and Eastern European countries that are members of the EU. Poland however does face a dilemma. Is it the “Newest of the Big” or the “Biggest of the New” amongst the EU members, just like the Charlemagne article mentioned. In my opinion it shouldn’t try be both since it is impossible and might cause problems and make its presidency look bad and useless and boring as many previous ones were. Instead it should really try to be the “Newest of the Big” in order to finally make the distinction in the EU, into “New” and “Old” members, finally disappear. This distinction is doing nothing but destroying the fragile unity within the EU. Poland doesn’t have to try to be the “biggest of the new” since it always has been and always will be exactly that. Being able to gather behind itself the other EU states of Central and Eastern Europe will also help it to be more influential and it can become a responsible leader which could try to defend those countries’ interests. This, however, should not happen at the expense of other EU member states. Poland should try to become a New EU Power naturally, as it most probably will, and not by trying too hard. Nevertheless Poland has its own problems just like any other EU country does. Like many post-communist countries it has problems with corruption. It still has a long way to in improving its infrastructure. Poland like many other Central and Eastern European countries has to get rid of its reputation as a Russophobe and being “too pro-atlantic” and “too pro-american”. The anti-missile defence plan that was supposed to be based in Poland made these matters more critical. This finally brings me to the subject of the title of this post. The history and the nature of Polish-American relations. In the early summer of 2011 Poland was one of the centers of attention in the world. On May 27th Barrack Obama visited Poland. Afterwards, just a little over a month later on July 1st Poland took the over the rotating presidency of the EU. Lots of things happened to Poland, this summer, that made it stood out and become more and more important. Besides Barrack Obama’s visit and the start of the Polish EU Presidency, a prominent think-tank, The German Marshall Fund which has offices in Washington DC, Brussels and all over Europe opened an office in Warsaw. The opening happened on the same day as the US President Barrack Obama visited Poland. No coincidence. Another interesting article to read about these events and Poland’s role is in the Economist by Edward Lucas. The US-Polish Relations go back further than the Anti-Missile Defence Plan in Europe. (A plan that was abandoned by Obama and made relations with Russia more complicated) The history of US-Polish ties and, in this case also, alliance is just as long as the history of US-French Alliance. We all know the heroes of the American War of Independence, such as of course George Washington, the great general who became the first US President. 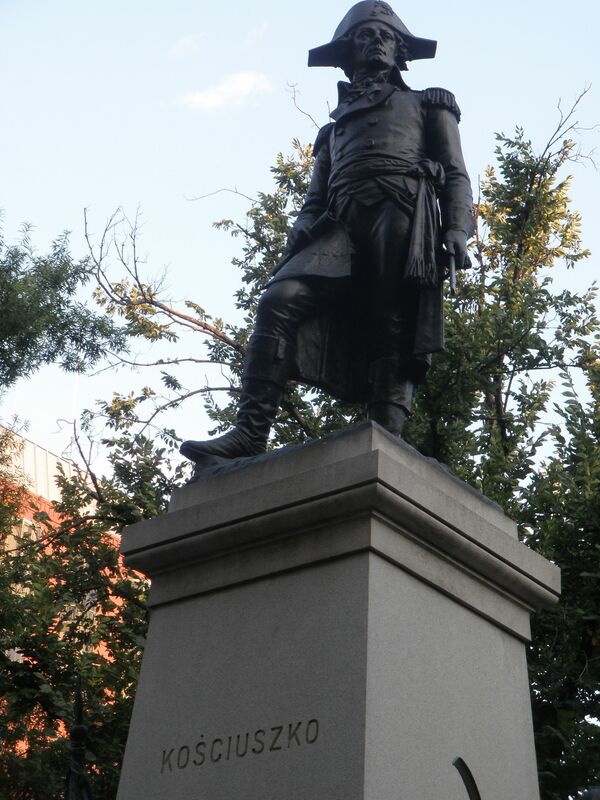 Many know the general who led the French troops that supported the American Revolutionaries, Lafayette. Many don’t know (I didn’t myself, not so long ago) that there is also another hero of the American revolution who was an important general and helped the American Troops win lots of battles. He was a European too and he was Polish. His name is Tadeusz Kosciuszko. In the USA he is a hero. Naturally he is also a national hero in Poland, since he also led a Polish Uprising against the Russians back in the 18th century. In Washington DC next to the White House, at the LaFayette Square there is a statue of Kosciuszko (see photo further below). A Chair of studies at a graduate school in Washington DC, The Institute of World Politics, is named after him. The Kosciuszko Chair of Polish Studies. A Polish based think-tank is also named after him. The Kosciuszko Institute (I included the link to this think-tank in “Think-Tanks and other NGOs” Link Category on my Blog). Yes, Tadeusz Kosciuszko’s name is difficult to spell and difficult to pronounce. In Europe you hear of him rarely outside of Poland, Lithuania or Russia, but in American history books he is quite famous. This proves that US-Polish relations go back very far in the past. Poland after it was partitioned for the third time between Prussia (later Germany), Austria and Russia in 18th century was not forgotten by the newly born United States. The US President Woodrow Wilson was very much in favour of an independent Poland after WW1. After WW2 Poland was a crucial subject during the negotiations between he war-time allies, UK, USA and USSR. During the communism, the Polish resistance and finally the pro-democracy Solidarity movement was supported by the United States. Finally when Poland regained freedom in 1989 US was the biggest provider of help. And don’t forget the big Polish immigration into the United States and how the Polish-American community and diaspora helped to build great American Cities such as New York, Pittsburgh or Chicago. Poland’s relation with the United States will continue to be just as crucial as the relations United States has with Britain, France and Germany. This relationship isn’t only important for the United States’s presence in, and relationship with, Europe but is also important both for NATO and thus the atlantic relations and for the EU. The next big country towards the east, and a potential regional power, besides Russia, is Ukraine. It is exactly the EU’s relation and partnership with Ukraine that will be one of the main topics of Poland’s EU Presidency. For those of you who are interested in finding out more about Ukraine, I wrote a blog post about it back in July 2011. You can view it directly by clicking here. And don’t forget that next year’s Euro Football Championship, the EURO 2012, will be held in Poland and Ukraine. It’s an important event not only from a sports perspective. Congratulations and Thank you if you made it to the end of this long blog post and read it entirely. I hope you learnt new things about Poland and its relations with the US and its role within Europe. I’m also glad if I ignited a bigger interest in Poland and Central Europe in you. Poland is also a very nice country to visit. If you ever go there do me a favour and visit my home country of Slovakia as well. It’s right next door and is worth it. Russia is not Ukraine’s older bigger brother. It is actually the other way around. Last Thursday July 7th I attended a great event here in Washington D. C., organized by The Atlantic Council, the Brookings Institute and the Peterson Institute. The main topic of this event, was Ukraine, its problems of governance and the implications for its Foreign Policy. One of the speakers was Zbigniew Brzezinski, former National Security Advisor and author of many great books. His insight as usual was awesome and full of intelligence. When talking about the difficult relationship that Ukraine has with Russia he mentioned a very interesting fact. Generally Russia is always considered and considers itself the “older big brother” of Ukraine. Something like Germany was to Austria-Hungary back in the 19th and the early 20th century. Well, Russia definitely is bigger and during the time of the Russian Empire and the Soviet Union, Russia did control Ukraine. But when one looks back in history he/she will find out that it is actually Ukraine, which is the older (not the bigger of course) brother of Russia. Russia and Ukraine share a lot of common history and culture. This relationship goes back to the 9th century AD to the times of Kievan Rus. Kievan Rus is where the Eastern Slavic Culture finds its origin. Kiev was the first great city of Eastern Slavs and the Kievan Rus later expanded eastwards to modern day Russia where Moscow was later found. Later throughout the centuries the settlers in the East became a different nation known as Russians. In brief, modern day Ukraine is where the Russian culture and civilization originated. Historically then, Ukraine is actually Russia’s older brother. But politically as well. Ukraine is more western than Russia. Ukraine, even today with the administration of Yanukovych has a pretty good democratic record (but far from perfect of course). One should not think of Yanukovych as a super pro-russian president. He does do things which are in the interest of his country. This does not mean doing stuff that Russia always likes. Moreover, Ukraine is where the democratic Orange Revolution of 2004/2005 happened. Even Samuel P.Huntington, in his famous work “The Clash of Civilizations”, talks about Ukraine as the place where, as he describes it, the “Western” and the “Orthodox” cultures meet. Ukraine is more western and democratic than Russia, so even politically it is Russia’s older and , in this case, “more responsible” and “more democratic” brother. Returning back to the event I was writing about in the beginning. Brzezinski also said that Poland is the country (which also happens to hold the Presidency of the Council of the EU at the moment) which can help Ukraine the most. Don’t forget that the Euro 2012 Championship will be taking place in Poland and Ukraine. Just the fact that these countries decided back in 2005 to host this championship together is a strong indication of their strong ties. Poland as a EU member might this way help Ukraine become more recognized and more accepted as a European country. Ukraine should also consider tightening its relations with Turkey with which it does share, according to Brzezinski, some common history. These two countries also have converging interests. Finally there is the problem of the corruption in Ukraine. Is it a home-grown Ukrainian problem in particular? It might be. But it is rather a legacy of those awful Soviet totalitarian times. It is the legacy of the post-Soviet corruption. It is the cumulative effect from fanatism to self-interest. Many other Central European countries that have problems with corruption have it, among other things, because of the fact that they used to be totalitarian regimes that make the population cynical. One more thing to take into account. Ukraine now has had over 20 years of independence and democracy. There is a whole new generation of young people who grew up in this new free regime and they will change Ukraine’s image and nature forever. They have a strong sense of national identity which is getting stronger and more consolidated every year. In the end, if Russia finally gives up Ukraine and decides to abandon this neo-imperialism it might at last become a westernized country that will be European. As Brzezinski puts it: “Russia with Ukraine is an neo-imperial non-european power. Russia without Ukraine is a European power”. I hope that you all enjoyed reading this and maybe even learnt something new. Thank you for reading.